Hello, my name is Darrell Hansen. When the “Spirit” took hold of me, I became a different person. Many years ago, I accepted Christ as my personal Lord and Savior. Therefore, my life’s work is centered around God because He means everything to me. That is not to say that all of my music consists of hymns, or even songs that mention God. Some of the songs are like the book of Esther in the Bible. God is never mentioned in the book, but God’s providential care is abundantly evident. So it is with the music I write. The songs resonate with the “spirit” of man, and the “Spirit” Of God, and both are employed as the songs are given under the inspiration of both. Many of the songs are stories that all can relate to. All of us experience life’s ups and downs. A few of these “experiences” are captured in the songs, and if you listen to them, both “spirits” will speak to you. The music I write resonates with man because it is you; it is I. The music is real and personal. I write about issues that many others of have dealt with in the past, or perhaps are living them in the moment..
Feel free to move around the site, sample some of my music, and by all means, purchase your own copy of my CDs. That would help greatly. I am praying for the funding to head back into the studio. I have 4 more projects I would like to finish before my “spirit” takes flight. If you like what you hear, and want to hear more, help me get the other music complete. Buy some CDs. “Please Don’t Kill Me Again”, Is still available, and can be given as a gift. Each CD has the gospel message printed on the insert. May God richly bless all of you! 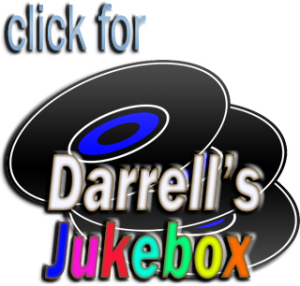 Like the Darrell Hansen Facebook page for free music and updates.